Citycell (Pacific Bangladesh Telecom Limited) is Bangladesh’s and South Asia’s pioneering mobile communications company and the only CDMA mobile operator in the country. Citycell is a customer-driven organization whose mission is to deliver the latest in advanced telecommunication services to Bangladesh. The company offers a full array of mobile services for consumers and businesses that are focused on the unique needs of the Bangladeshi community. Citycell’s growth strategy is to integrate superior customer service, highest standards of technology and a choice of packages at affordable rates. The company operates a 24-hour call centre with well trained operators to respond to customer queries. Citycell’s customer services are open 7 days a week to ensure customers can access Citycell at any convenient time. As of 1 March 2008, Citycell’s total mobile subscriber base is 1.56 million, up 137 per cent or 680,000 from two years ago, giving it the best growth rate of the company till date. Citycell is currently owned by Singtel with 45% stake and the rest 55% owned by Pacific Group and Far East Telecom. 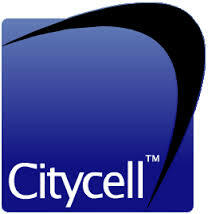 By the end of 2007 Citycell had refurbished its old brand identity and introduced a new logo and corporate identity; the new logo is very reminiscent of the old logo. However the slogan has remained unchanged “because we care”. Citycell is currently owned by Singtel with 45% stake and the rest 55% owned by Pacific Group and Far East Telecom. Citycell (Pacific Bangladesh Telecom Limited) has been converted into a Public Limited Company with effect from 28 March, 2008 in compliance with the Notification No. SEC/CMRRCD/2006-159/Admin-03/23 of Securities and Exchange Commission of Bangladesh. 1989: Bangladesh Telecom Limited (BTL) was awarded a license to operate cellular, paging, and other wireless communication networks. 1990: Hutchison Bangladesh Telecom Limited (HBTL) was incorporated in Bangladesh as a joint venture between BTL and Hutchison Telecommunications (Bangladesh) Limited. 1993: HBTL began commercial operation in Dhaka using the AMPS mobile technology in 1993 and became the 1st cellular operator in South Asia. Later that year Pacific Motors bought 50% of BTL. 1996: By 1996 HBTL was renamed as Pacific Bangladesh Telecom Limited (PBTL) and launched the brand name “Citycell Digital” to market its cellular products. 2008: As of July, 2008 Citycell has 1.67 million subscribers. As of 1 March 2008, Citycell’s total mobile subscriber base is 1.56 million, up 137 per cent or 680,000 from two years ago, giving it the best growth rate of the company till date. As of July, 2008 Citycell has 1.67 million subscribers. Citycell offers prepaid, postpaid cell phone services as well as internet service . Since Citycell operates in CDMA, RIM’s are usually sold with a phone mostly cheap Chinese sets produced by ZTE, Huawei, Samsung, Motorola and Alcatel. Citycell currently has the cheapest phone + connection tariff at 1399 taka. Ultra is the new and upgraded package from Zoom™ high-speed wireless internet service that runs on state-of-the-art EV-DO technology, the evolution from CDMA 1X technology. You can experience download speeds of up to 512 kbps, and the Zoom™ Ultra connection enables you to access this high-speed internet by simply connecting to your laptop or desktop computer. Zoom™ Ultra provides never-before internet speeds on the move, and plug-and-play service through a versatile USB interface. The high speeds facilitate a superior internet browsing experience with video streaming, video surveillance, and rich media content. In addition to Dhaka, Chittagong, Rajshahi, Khulna, Sylhet and Barishal metropolitan cities, Zoom Ultra is now also available in Tongi Sadar, Gazipur Sadar, Gazipur (Konabari, Rajendrapur), Savar (EPZ, Bazar), Narayangonj Sadar, Narayangonj (Fatullah, Rupganj, Kachpur), Bogra Sadar, Rangpur Sadar, Comilla Sadar, Cox’s Bazar Sadar, Jessore Sadar, Jessore (Naopara Bazar), Hobigonj Sadar, Khulna University area, Chittagong University area, Gaibandha Sadar, Dinajpur Sadar, Mymensing Sadar, Pabna Sadar, Sirajgonj Sadar, Noakhali (Maizdee), Feni Sadar, Pahartali (CUET), Bhairob, Brammonbaria Sadar, Jamalpur Sadar, Kishorgonj Sadar, Netrokona Sadar, Serpur Sadar, Tangail Sadar, Faridpur Sadar, Chandpur Sadar, Manikgonj Sadar, Munshigonj Sadar, Kustia Sadar, Satkhira Sadar, Bhola Sadar and Moulovibazar Sadar. There are 6 Customer care centers of Citycell in the country. One for each division and there are another 500 Customer care Points scattered around the country. In early 2010 Citycell’s senior management was reshuffled. A new CEO, Mehboob Chowdhury was brought in as well as a COO, David Lee. In February Chowdhury took office. He is an experienced executive, as he has had involvement with Aktel (now Robi), Warid (now airtel), Banglalink (Chief Commercial Officer 2005-2006) and Grameenphone (Director of Sales and Marketing 1998-2005).